New Nissan Leaf previewed by Tokyo concept | What Car? This is the first image of Nissan’s concept at the forthcoming Tokyo motor show - a car that’s said to hint at the styling of the next generation of the Leaf electric car. Nissan has issued just this simple teaser image so far, showing a regular five-door hatchback that incorporates the latest version of the company’s corporate front grille. 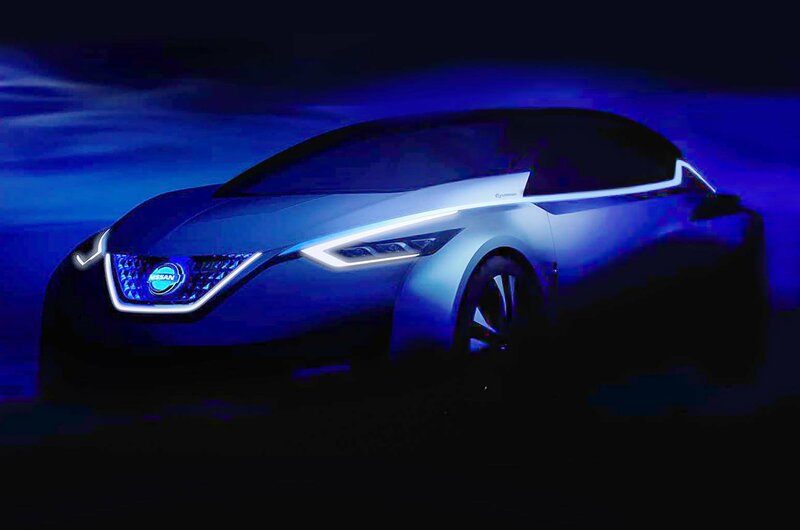 The short release accompanying the image called the car "Nissan’s future vision of car intelligence and electrification" - a pointer that it will showcase the company’s self-driving technology, and the latest developments in batteries and electric motors. The next Leaf is expected to make its public debut late next year, with sales due in 2017. It’s tipped to have an electric range of around 200 miles - and could well be joined by further variants as Nissan tries to establish the Leaf name as a sub-brand, much as Toyota has achieved with its Prius.